Lyman Dee Carson, 79, of Sioux Falls, passed away Sunday, June 3, 2018 at Sanford USD Medical Center in Sioux Falls, SD. Lyman was born on September 3, 1938 in Colman, SD, the son of Ernest and Ferne (Riley) Carson. He grew up in Lake County, attended school in Nunda and Madison and graduated from General Beadle High School in 1956. He was united in marriage to Neva J. Leighton on September 30, 1960 at the Methodist Church in Madison, SD. The couple first lived in Madison and then later moved to Flandreau where they made their home for 50 years before retiring to Sioux Falls in 2004. 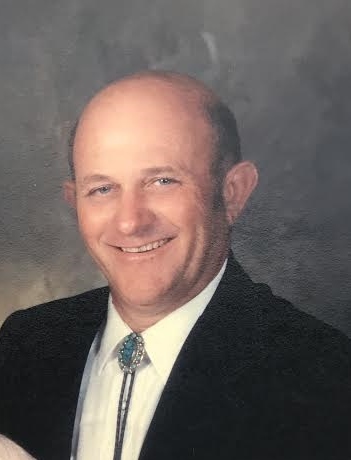 Lyman loved antiques and worked as an auctioneer and real estate broker while owning his own trucking business for over 40 years. Lyman found great pleasure spending time with his grand kids. Lyman is survived by his wife: Neva of Sioux Falls; two sons: Alan (Elizabeth Weber) Carson of Muskegon, MI and Bradley (Belinda Borges) Carson of Murfreesboro, TN; four grandchildren: Benjamin Carson of Muskegon, MI, Julia (Jose) Gonzalez of Muskegon, MI, Riley Carson of Bowling Green, OH, and Kaleigh Carson of Ottawa Hills, OH; three brothers: Lawrence (Rose) Carson of Mitchell, SD, Lloyd Carson of Brookings, SD, and Lance (Donna) Carson of Mitchell, SD; three sisters: LeeAnn (Mel) Withnell of Pueblo, CO, Larraine (Harlan) Gorath of Fairmont, MN, and Lyles (Tom) Lewis of Stockton, MO; and a sister-in-law: Wanda Carson in Waconia, MN. He is preceded in death by his parents and one brother, Leland and sister-in-law, Carol. Visitation will be Saturday, June 9, at 1:00 PM at Barnett-Lewis Funeral Home with a Memorial Service at 2:00 PM. Inurnment will be at a later date at Graceland Cemetery, Madison, SD.